Search engine pioneer and the second most popular search player in the U.S, Yahoo Inc. has agreed to buy Associated Content, a web publishing company founded in 2005. 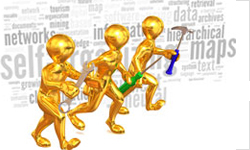 They are specialized in presenting content (user generated content) virtually on all topics under the sun. Though the financial deals were not disclosed anywhere officially, some sources reported that it was about $100 as well as $90. This partnership deal was announced by Yahoo! through their blog yesterday. Associated Content is a U.S.-centric content generating company having 3,80,000 contributors, who produce articles on various topics in an advanced SEO fashion. As soon as the deal is signed, these contributors will be a part of Yahoo!. Also Yahoo! has plans to expand the reach of Associated Content globally. With this new move Yahoo! we wonder how this will effect the search engine game. Another interesting fact to share is Associated Content’s CEO Patrick Keane is an ex- Googler! "Combining our world-class editorial team with Associated Content's makes this a game-changer," said Carol Bartz, CEO, Yahoo! Inc. "Together, we'll create more content around what we know our users care about, and open up new and creative avenues for advertisers to engage with consumers across our network. These are important aspects of building, engaging consumer experiences on Yahoo!, and one of the reasons why we're one of the most visited destinations online." 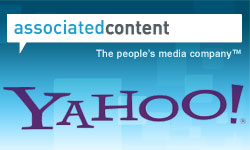 How Associated Content Acquisition Helps Yahoo! Expanding its niche content verticals further. Getting more topics for its media sites and up-to-date information from users. Producing content directly in response to audience needs. By providing advertiser-specific content, Yahoo! can find a better revenue stream through Associated Content. Improving its SEO comparative to other content gamers. Can further strengthen its presence in the display ad market. Yahoo!, which is losing its ground in the search engine landscape, is badly looking for a break. If the reports are correct Yahoo! has judiciously spent its $100 as an effort to claw back in the search engine game. Furthermore, the Associated Content acquisition will power Yahoo! to place pressure on fellow online content gamers like Demand Media, AOL Seed etc. Hopefully, Yahoo!’s new venture will bolster them for better visibility in search maps and thus they will move back into the search engine market share competition. I am not holding my breath! Understood from the reports that 90 per cent of Associated Content’s audience reaches its pages via search engines. So if things work out on Yahoo! 's way really this is going to be a big 'game changer' for them. 380,000 contributors ! Just imagine the whopping figure of readers / subscribers. Also the contributors are getting paid for each page view of their articles. 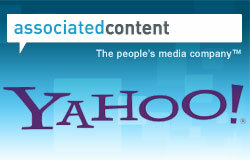 The acquisition will definitely help Yahoo and especially Associated Content to broaden it's reach. Yahoo can give a big push to Associated Content by showing Associated Content on top of search results if the search is related to any of the articles associated with Associated Content thereby generating more subscriber base and revenue. Thanks Asha for the updates !